Renovating your home can not only make it more pleasant to live in, but can also help increase your home value. However, certain home improvements will provide a higher ROI (return on investment) than others. For a high ROI, you can’t go wrong with a kitchen renovation. Improve function: There are several things that you can do in your kitchen renovation to improve its overall function. For example, adding more cabinets or extending your existing cabinets to the ceiling can help provide more storage space. Or if you want to go even further, knocking down the wall between the kitchen and living space can allow you to add more counter space. 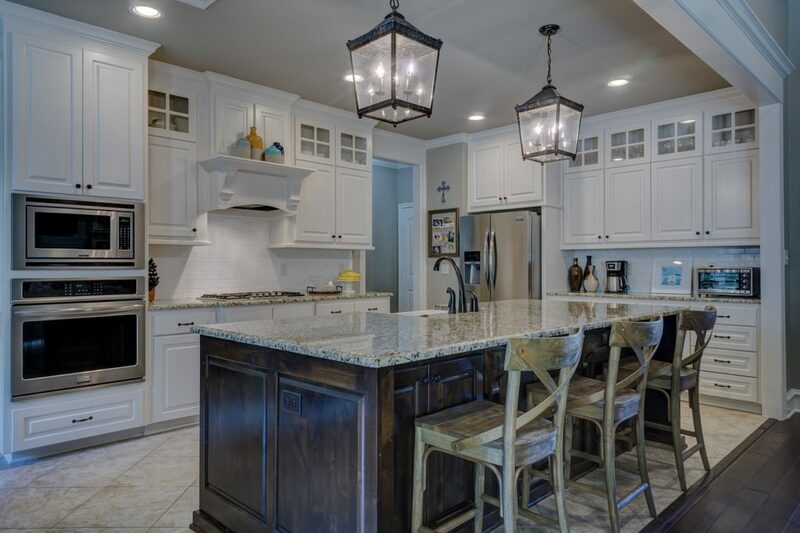 Simply upgrading some of your kitchen appliances or lighting fixtures can help make the kitchen more functional as well. Reduce energy costs: Upgrade your older kitchen appliances to more energy-efficient models to reduce the amount of energy your kitchen uses. Look for refrigerators and dishwashers that have the Energy Star label, which signifies that they meet or exceed the energy efficiency standards set by the EPA (environmental protection agency). Replacing traditional lighting fixtures with LED models can be a great way to reduce your long-term energy use as well. Improve sustainability: Upgrading your kitchen appliances to more energy efficient models will help make your kitchen more Eco-friendly, but it’s not the only thing you can do to create a more sustainable kitchen environment. Install low-flow water faucets to reduce your water use and consider materials that are sustainable – such as bamboo, salvaged wood or recycled materials – for your counter tops, cabinets and flooring. Update the look: If your kitchen’s visual design is trapped in the 1970’s or 1980’s, then it could probably use a visual update. 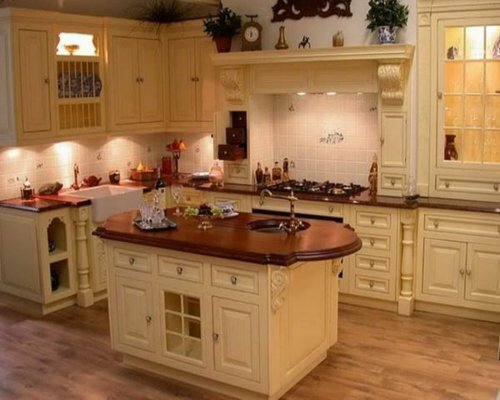 You can change the entire appearance of your kitchen by simply re-painting the walls and cabinets, and by upgrading all of your cabinet hardware. Of course, you can go the extra mile and install new cabinets, new counter tops and new floors as well. Increase comfort: A kitchen renovation can improve comfort in a number of ways; for example, better ventilation can help reduce the odors and heat that cooking in the kitchen produces. Installing a kitchen island that provides seating space can be a great way to add an additional dining area to your home. Adding larger windows can help bring in more sunlight. Improve safety: Upgrade outdated kitchen appliances to avoid injuries caused by improper function. You can also implement universal design, such as by installing a wall oven, to help prevent injuries caused by physical overexertion. Improve home value: Depending on the extent of your kitchen renovation, you could recoup as much 70 percent of your kitchen renovation costs. Not to mention that a newly renovated kitchen often attracts home buyers if you’re looking to sell. As you can see, there are many benefits to renovating your kitchen, making it one of the best home improvements to invest in.